These stats make it genuinely clear that as a local business, your online presence matters — and it matters in a big way. Resellers can help clients grow their businesses and simultaneously deepen their relationships by guiding them in the use of these digital tools and explaining why they matter. Let us take a look at how to improve an online presence so more customers can find your customer’s business. What Does An Online Presence Mean? Before we can talk about ways to manage an online presence, first, we need to define it. An online presence is the sum of all identities that an individual or a company creates that are found via an internet search. A web presence can be something as simple as a name on a list of an online directory. 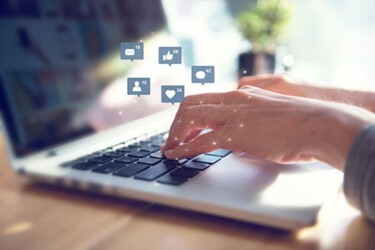 It can be social media accounts, a business website, or a third-party medium, such as a customer review platform like the Better Business Bureau (BBB) or Consumer Affairs. Collectively, all these digital impressions are known as an online presence.